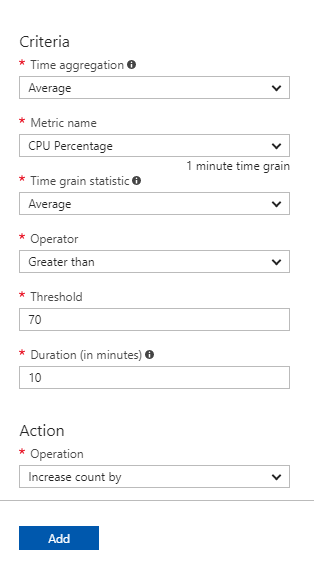 In this blog, we will see how to send alert in case of high cpu utilization or high memory usage and scaling operation in Microsoft Azure App Service. In Scaling operation we will see how to perform horizontal and vertical scaling. 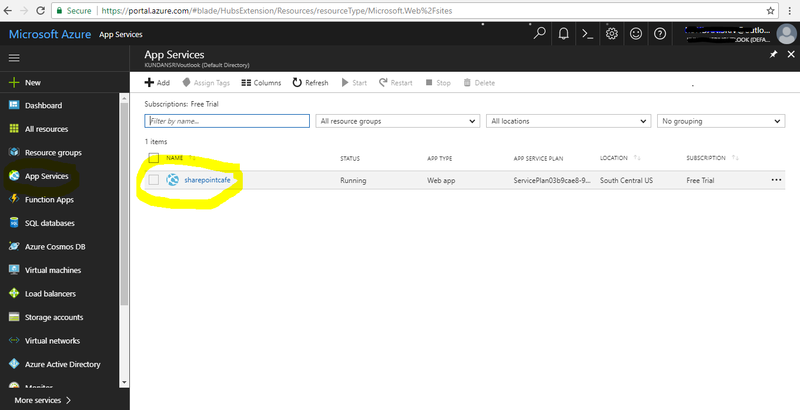 How to setup Alerts in Microsoft Azure? 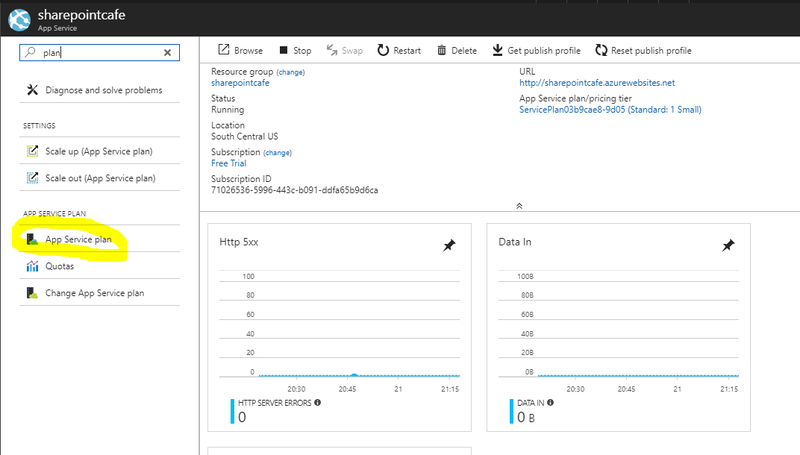 Alert is very useful feature in Azure App service. If your system is down, or your app is consuming high CPU usage, in this case you can set an alert which you will automatically sent an email to the concern team/person if given rule and conditions meet. To set an alert go to App service and click on App service for which you want to set an Alert. Search for ‘Alert’ in search box. Click on Alerts in search result. Now fill the details to set an Alert. Give a name and description of the Alert. 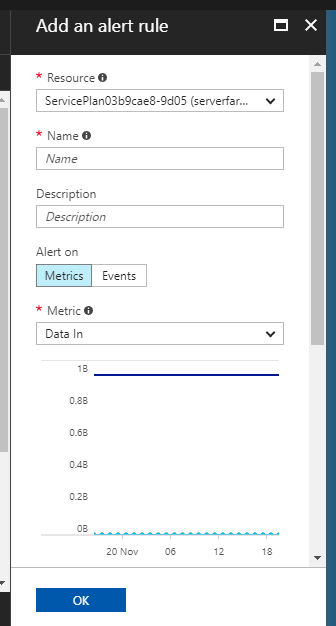 Select a metric from the dropdown. For eg – HTTP 503 status, high CPU usage. Select a condition for equal to, less than or greater than. Provide a threshold value and click OK. You can give email id of additional admin person or secondary admin. 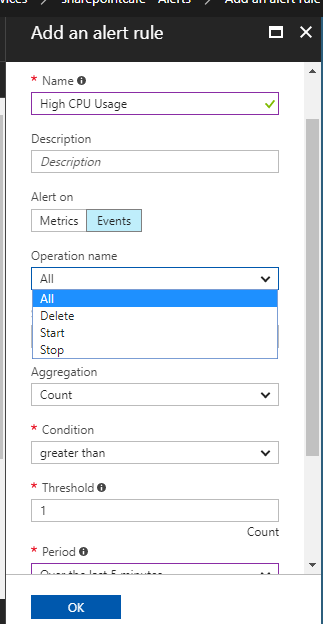 You can select Events in case you want alert on create, delete, scale up and scale down operation. 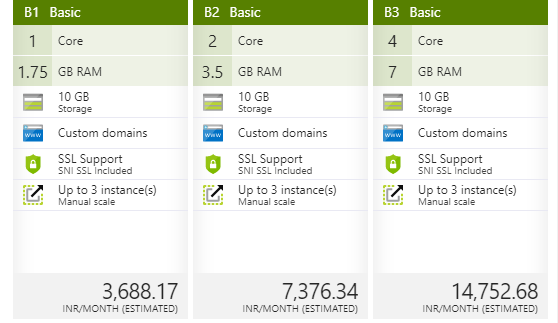 What Scaling in Microsoft Azure? Scaling – Scaling is the operation to increase or decrease the server capacity or even the no. of server instances. There are 2 types of scaling. Horizontal Scaling – Horizontal Scaling is the process where no. of server instances gets increased or decreased. 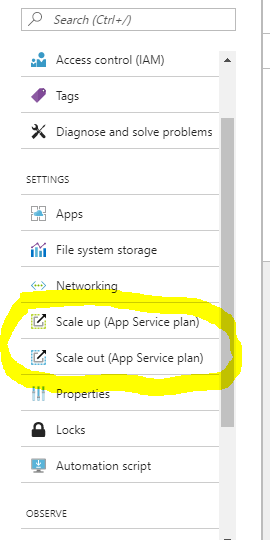 Go to App Service and select App Service for which you want to perform scaling operation. Search for ‘Plan’ and select ‘App Service Plan’. See below screen shot. 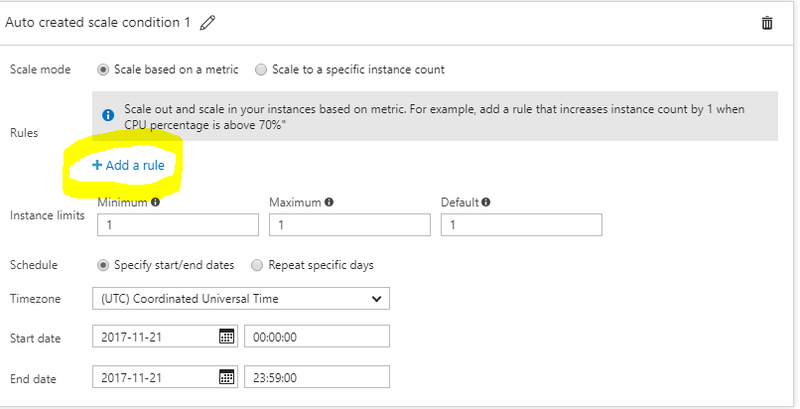 Set rule as when to increase or decrease the no. of instance.